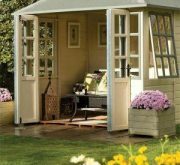 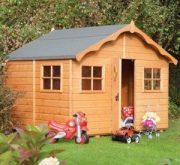 Our stocked products are primarily a range of four tanalised Premier sheds. 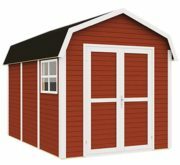 These are all tanalised shiplap buildings and they are all sectional. 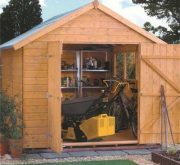 Whether your take the shed on the back of a pick-up, or we deliver it, there will have to be some assembly work after delivery. 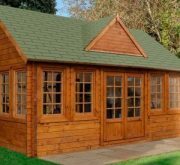 By offering a wide range of buildings with different sized footprints, window and door configurations we try to satisfy as many potential customers as possible. 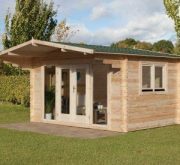 The range includes Apex, Pent and Potting sheds – some tanalised and some dipped; Workshops with many windows and security sheds with a tiny peep window. 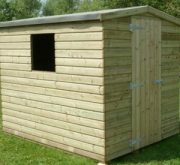 So, if you can’t find quite what you want we have a Yard with stocks of carcassing timbers, tanalised ply, cladding and roofing materials. 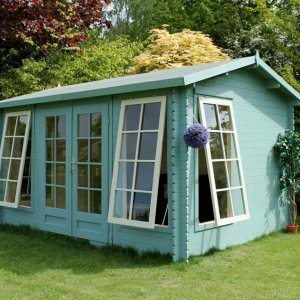 We have breathable membranes, roofing materials and a range of cladding products too. 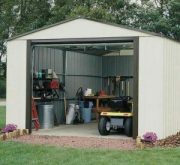 However, if you don’t relish the task we can probably find somebody to help. 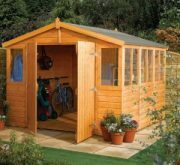 Our Premier tanalised sheds are for delivery to our normal, local delivery areas in Devon and Cornwall. 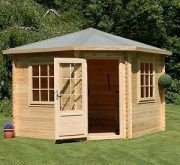 We are a large Timber Merchant in Devon and can offer free delivery to most of the UK Mainland for Rowlinson and Forest Garden products.